The European Unions afford to beef up Mali’s armed forces since 2013 is just before its fourth extension. 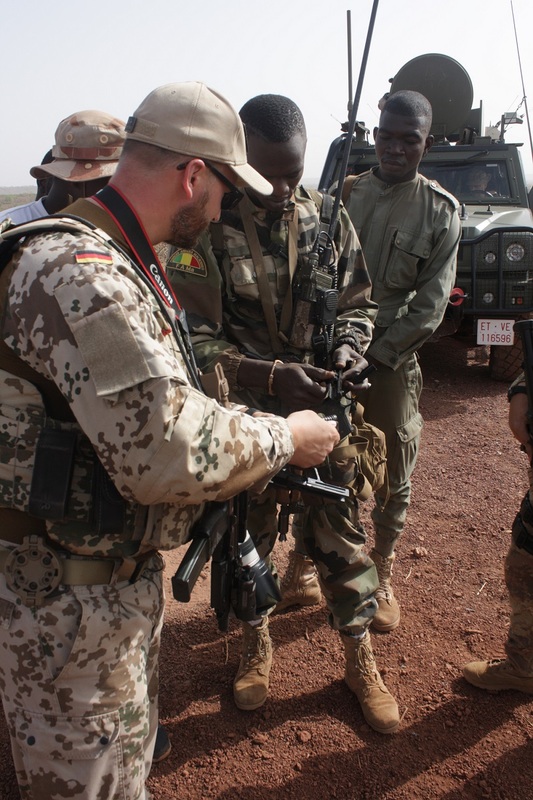 Germany, one of the backbone nations of this military training mission, allready prolongued the engagement of its armed forces – Bundeswehr – within European Union Training Mission Mali (EUTM) until May 2019. Soldiers like it to compare their weapons. German EUTM soldier and FAMA special forces recruit during a training lesson near camp Koulikoro, Mali – photo: Bjoern Mueller / all rights reserved. The broad goal of EUTM: „to contribute to the restoration of FAMAs military capacity“ according to its mandate. In 2012, the Forces Armées et de Sécurité du Mali (FAMA) were overchallenged to meet insurgent Tuareg and Islamists because of bad leadership, inapt tactis and material. Whole units were massacred or fled. As a result, younger officers were frustrated and revolted against the military brass and the government. The chain of command broke up. The army imploded. Only a military intervention from France prevented Islamists from breaking through the capital Bamako. In the summer of 2013, a new government was elected and there is a peace process with the Tuareg rebels, but it’s unstable. The states lack of monopoly on the use of force means that more and more self-defense militias are emerging across the country, and the fight against Jihadists is uspcaling from North to Middle Mali. In this brutal environment the FAMA tries to gain foothold again. The scheme therefore is ambitious. Mali’s government implemented a special law for FAMAs buildup in 2015. Its milestones: The authorized strengh of the regular army should be double from 10.000 to 20.000 soldiers until 2019. By then, the army shall have a proper command structure again and should be able to fight the enemy itself. The buildup agenda also intends the capability of a 850 men strong bataillon for peace operations. 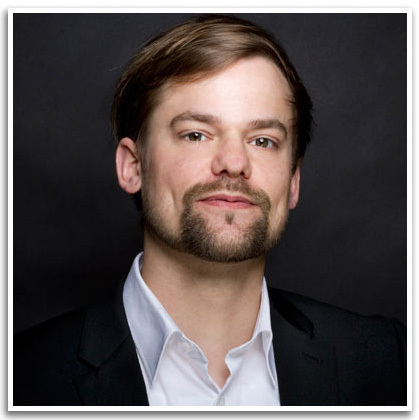 The wohle is flanked by an extensive procurement plan for a developing country over credits. Key investments: 326 million US-Dollar for combat vehicles.163 million US-Dollar for refitting the equipment of maintenance and logistic units. 60 million US-Dollar for a squadron of six A-29 Super Tucano light attack planes and the training of its pilots by A-29 manufacturer, the Brazilian company Embraer. From it’s high sight to lead itself the asymmetric war against jihadists and insurgents in the own country, the FAMA is still far away and the milestones for 2019 are unrealistic. But there are small advances at the tactical level according to European military officers and experts. As per Italian EUTM instructors for close air support, Malian special forces conducted their first standalone CAS operation against Jihadists in the North with a MI-24D helicopter before some weeks. Lieutnant-colonel Gottsche, commander of the last EUTM Bundeswehr contingent: „Recently, I attended a Malian training at Kati – A paratroop platoon that had just returned from combat deployment in the north and was in EUTM training before. One could see that the individual shooters do good cover work and the group leaders lead their men well.“ Following Laurent Touchard, expert for Africas armies, since 2015 the FAMA units show a better standing in fightings, for example expelling a night attack at the city of Boni. The EUTM tactical training concept works like this: The EUTM provides specialized knowledge like sniper training in its central training camp at Koulikoro near the capital Bamako. Otherwise, the trainers from various EU armies travel to the locations of FAMAs main military formations – eight battalions of about 600 men each. There they train for two weeks the officers and NCOs and in parallel the ordinary soldiers. Then the Malian „leaders“ train their soldiers two weeks after learning, coached by the EUTM instructors. The focus of EUTM is to „train the trainers“. Colonel Busch, Deputy Commander in Chief of the EUTM: „What is a challenge, is to make Western leadership principles, such as independent thinking and acting among soldiers, effective in Mali’s army. Here they often have a very rigid pattern, where each step is dictated by the supervisor.“ With its „leadership education“ the EU hopes for a multiplier effect for implementing modern army structures over modern minds within the FAMA. This tactical approach is flanked by the EUTM advisory task force, working with the Malian general staff at the institutional level, for example by helping to implement a modern EDP system to manage FAMAs human ressources. But the EU concept has weaknesses. So there are no maneuvers in which the Malian formations practice joint operations in a larger style under EUTM guidance and support. But high operational art is crucial for sucessefull operations for the small FAMA in a country from nearly the size of Middle Europe. German soldiers at EUTM also point to the very poor equipment level of the Malians and a lack of ammunition. But the material aids of the Europeans do not provide weapons. Also the EUTM does not know even after years of cooperation how the Malian army conducts their training before the EUTM trainers take over. In addition, a monitoring of the training success is missing. As before, the upcoming EUTM mandate does not foresee, that European instructors accompany EUTM trained FAMA units in operations. About the fightings and their experiences, the Malian military inform their EU partners only at irregular meetings at its taste. Despite this shortfalls, the EU has no intention to develop the EUTM concept in the direction of combat. The master plan for the upcoming fourth mandate is de facto an attempt to strengthen FAMAs inner constitution. Fixed European trainers should be installed at Mali Officers‘ and NCOs‘ schools to further develop their leadership training. Especially Germany is lobbying this attempt. Instead of armarment for Malis campaign against asymmetric enemies, the Europeans will try to strengthen FAMAs backbone by funding the renovation of military infrastructure like airbases. The Germans are planing to push their EUTM ressources into the training of logistic specialists, mechanics and lorry drivers. As the fightings against jihadists and insurgents in Mali and the Sahel region intensified, the upcoming EUTM mandate will be crucial to testify if the EUTM help to restore FAMAs military capacity – more shaping the FAMA as a modern defense institution than fielding an army for the battlefield – is a sound strategy. View at Koulikoro and the Niger. On the right, covered by trees, lies the Fama camp shared by EUTM. "Camp Gecko" - the German armed forces part of camp Koulikoro. German paramedics are responsive for keeping the camp free of venomous snakes. Sleeping containers for German soldiers at EUTM. Each for two or three men. The German "Gecko bar" which is also popular among the Spanish (see flag in the back). Uncovered hill behind camp Koulikoros generator installation. The tactical situation of the base is a mess according to EUTM soldiers. The Germans built an modern ammunition bunker outside the camp to make it saver. The soldiers arrest cells of Malis army at camp Koulikoro. pivot place of camp Koulikoro is the mensa run by the French gathering company EDA. Lecture room of the FAMA at camp Koulikoro. Currently under renovation - a German EUTM project. Crude - seemingly an Adolf Hitler quotation in French in an former FAMA lecture room at camp Koulikoro. The oval main road of camp Koulikoro. Camp Koulikoros parade square. In the background the German "Role 2" hospital. EUTMs fitness center in camp Koulikoro. A vivid place in the late afternoon when soldiers finsihed their day work. "Ghost city" - an abandoned village near of camp Koulikoro - used bei EUTM for urban warfare training. The former inhabitants left the village because it's supposed to be occupied by ghosts of dead people. "Fusilliers Commando" (FUSCO) a special training course for protecting airforce bases is the newest EUTM instruction for FAMA. One part of FUSCO it's to overwhelm and detain intruders without weapons. The young FAMA soldiers at the FUSCO course were very motivated. Instructing close air support is another EUTM attempt to support Malis armed forces FAMA. Three Italian officers are the leaders of this close air support training. The dragon is coming - the Chinese are buildung the first motorway from Koulikoro to the capital Bamako as well as a new bridge for crossing the Niger. View on Malis capital Bamako. In the back: "cocaine hill" - living place of the rich. Dieser Eintrag wurde veröffentlicht in Allgemein, Aufstandsbekämpfung, Bundeswehr, Der Periplus zu Afrika, Europa, Weltpolitik und verschlagwortet mit Africa, Bamako, Bundeswehr, Busch, CAS, EUTM, EUTM Mali, FAMA, FUSCO, German Armed Forces, Gottsche, Koulikoro, Laurent Touchard, Mali, MINUSMA, Sahel von Björn Müller. Permanenter Link zum Eintrag.